Certified Organic. Premium Choice. Make In Nature is committed to fostering the development of organic agriculture. Our farmers' crops are grown without the use of synthetic pesticides, herbicides or fertilizers. We do not use preservatives to enhance the appearance or extend the shelf life of our products. For this reason, Made In Nature's dried fruit may appear to be darker in color or slightly sugared compared to other dried fruit. 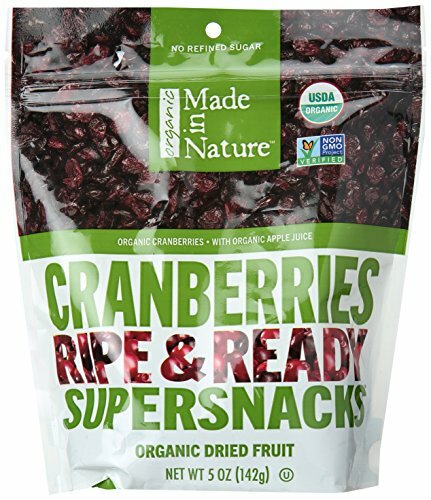 This is simply dried fruit in its natural state, without the use of sulfates or other preservatives. When you purchase organic products, you encourage organic farmers to continue to grow organically, and in this way you are contributing to a clean environment. Resealable packaging.